Nathan C's Custom City Bike. Super subtle, in our special way, city bike. Nathan was sick of his frumpy old hybrid and bought an old seventies Schwinn and loved the way it fit, but not how janky and heavy it was. So he had us make something in-between the two. Slack angles and low trail like the Schwinn, longer chain stays and a lower than typical top tube for easier stand over, and a super upright fit. But it's us, so 650b and chrome custom front handlebar bag rack and detachable lowriders, with dynamo hub and lighting and easy super compact gearing! Judy's Custom "Magic is Real", Show Bike! 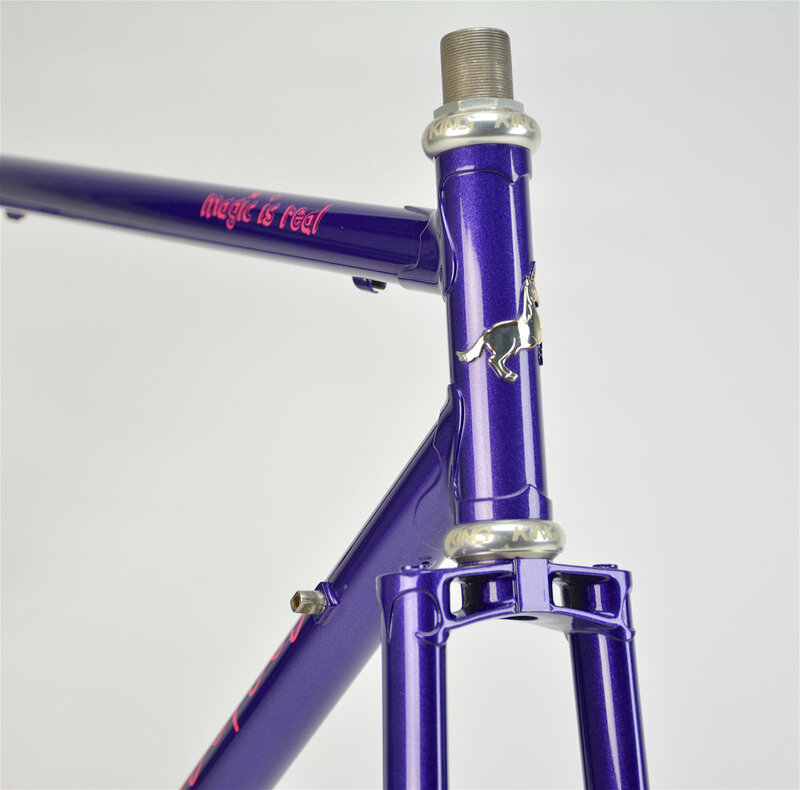 The third custom bike I ever made, way back when, was a purple painted porter with a big old ornate rack. Judy had been wanting something with fatter tires, and a smaller rack for a while. She just happened to crash and wreck her old handmade bike right about when we were ready to start building her a new bike. The project sort of got out of hand and ended up being the fanciest bike we've ever built! This bike was our first order as the new entity that is Norther Cycles! We were lucky enough to be in the right place at the right time to get some shots of our first show bike up on the Radivist Blog and have a few people fall in love with our style. Once such person ordered an amazing bike! This bike was custom made for a fellow in Austin TX. It's a 63cm 650b Randonneur with all the right stuff: Columbus Classic 2009 SL main tubes, long taper fork blades raked out to low trail on our custom French Flip raking tool, and handmade rack set to match! We built this as a frame set with front handle bar bag rack and detachable "Mule" style low rider racks. We then did a basic pre-build up on it, such as wiring, fender and headset install and shipped it to Austin so it could get the rest of the build done and hit the road! 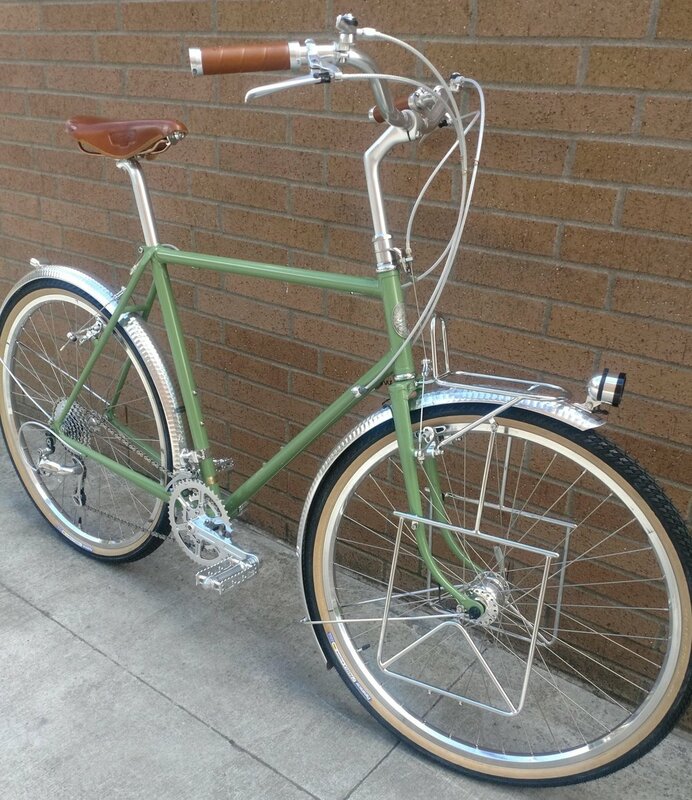 This rad little City Bike was made for an equally rad lady right here in Portland. It's soon to be seen tearing up the streets on her daily commute. Her husband has one of the first Belladonna's as his daily ride for the last ten years, and she's always wanted one too. Once we started the new shop she decided it was time, and we couldn't be more thrilled! Until we get some more picks of it being ridden by the owner enjoy some build picks! This handmade 650b City Bike features a custom color based on her favorite nail polish too! We did the full build using standard and really stable touring geometry, dynamo front hub and lots of shinny new and NOS silver bits! Sometimes we just can't help ourselves! This is one of those cases. 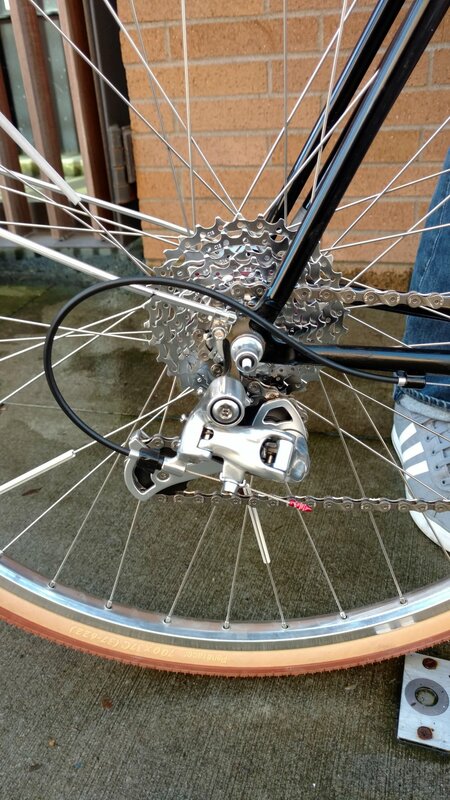 Our friend James is a serious Randonneur, but wanted a fast rando bike for nicer weather events. So we built him this "race" bike, and in the tradition of putting funny stickers on bikes I slapped some NOS Huffy decals on it instead of Norther logos... for now. This bike features a light weight Columbus full Classic 2009 SL tube set to make it super light. It was designed as a race bike, but we made a few changes from the standard race bike to accommodate the awesomeness of the long distance randonneur riding that this he likes to do! It features room for 32mm Compass extra light tires, and integrated pump and a Son Connector-less specific fork. Only 21lb fully built even with dynamo front hub and light! Pretty hot for a no compromize steel bike! Special thanks to Theo for the great ride shots from the Cascade 1200k! Jason's custom Norther Cycles bike is a Touring rig. A very cool touring bike! 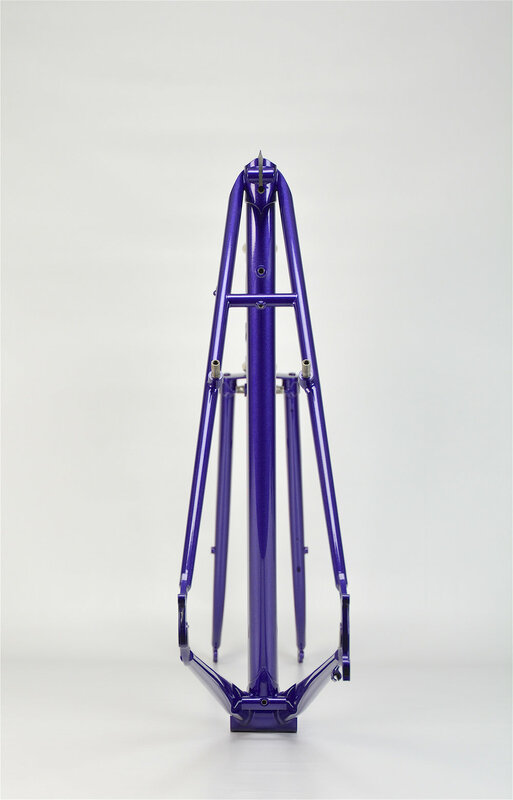 It was built with Columbus Cromor 9.6.9 standard sized tubes, (the same tube set used in our Klickitat batch bike), and a more touring based geometry. He built it around the the Sim Works 650B tires and a Conectorless SL Son dynamo front hub. Jason has been playing with a torch a little bit himself and ended up building his own decaileur on this one. A super cool one at that! We did the frame fork front rack, and installed the headset, fenders, and wiring and let him go to town on the rest of the build. It really came out as a unique and beuatiful build. Keep and eye out for it rolling around North Portland! Ryan is one of Mark's good friends and also our graphic designer. 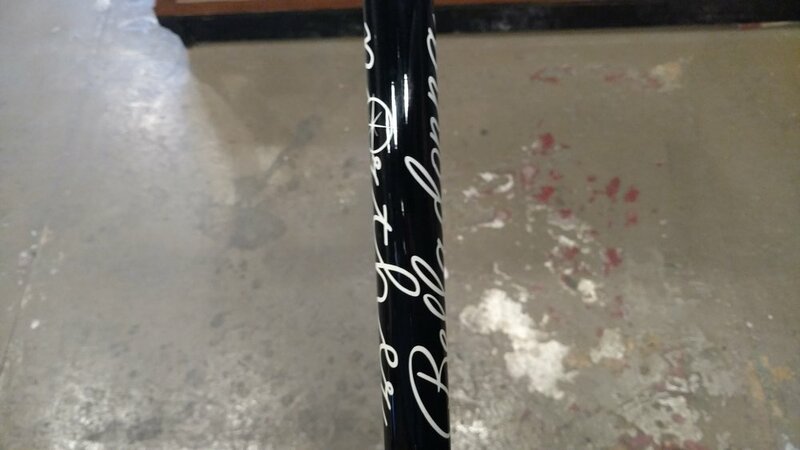 He did all of Mark's design work when Mark was exclusively building Belladonna Cycles before we started Norther. Ryan ordered this bike before Norther was even really a thing. It was the last bike Mark built in his home shop before we moved into the Norther shop. It sat in raw steel in our shop for almost a year before Ryan was ready to get it painted. Since it was really a Belladonna, but Ryan designed our logos too and it became something else. Ryan made a custom logo for the bike featuring a perfectly blended Belladonna logo on one side and a Norther logo on the other. The bike also has both head badges! A true one of a kind! I talked him into a dynamo hub and internal wiring at the last second before it went off to Forever Powder Coating for some real nice color work. 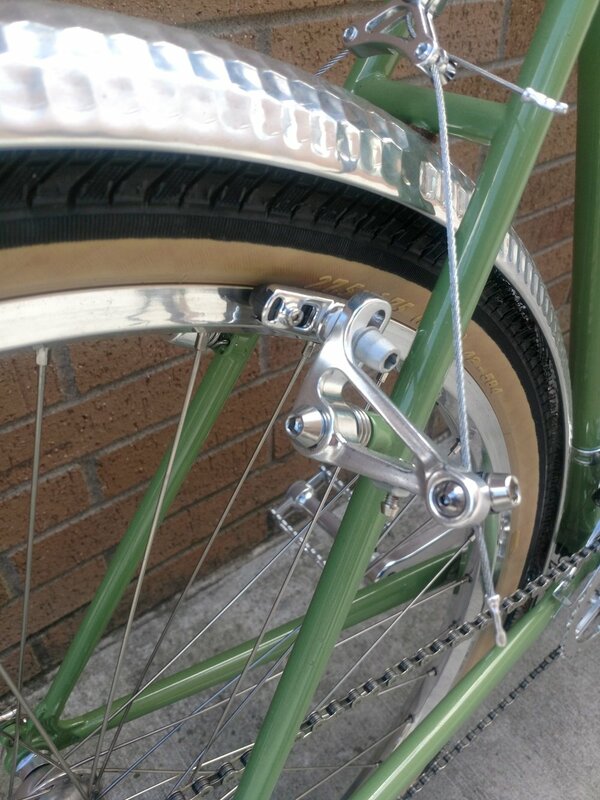 We then built it up with a nice mix of shiny silver Velo Orange and Sun XCD parts. But being us I had to sneak on at least one NOS Part. The headset started life as a black NOS Tange needle bearing unit. I striped it and polished it and made it fit right in on this sweet build! Ryan lives in North Portland too, so if you get a chance to see it while in our hood check out the details! We had the pleasure of getting to do a little hand made bike show a while back. And we asked a few of our bike's caretakers to ride on down and show off their bikes. Ryan did and Anthony from Velo Cult took some sweet photos of his bike. Note a few specks of dirt, as Ryan rode to the show! Hey, check out this gallery of other Norther Cycles in action and or taken by their owners while out on rides!